It's time for a blog post. 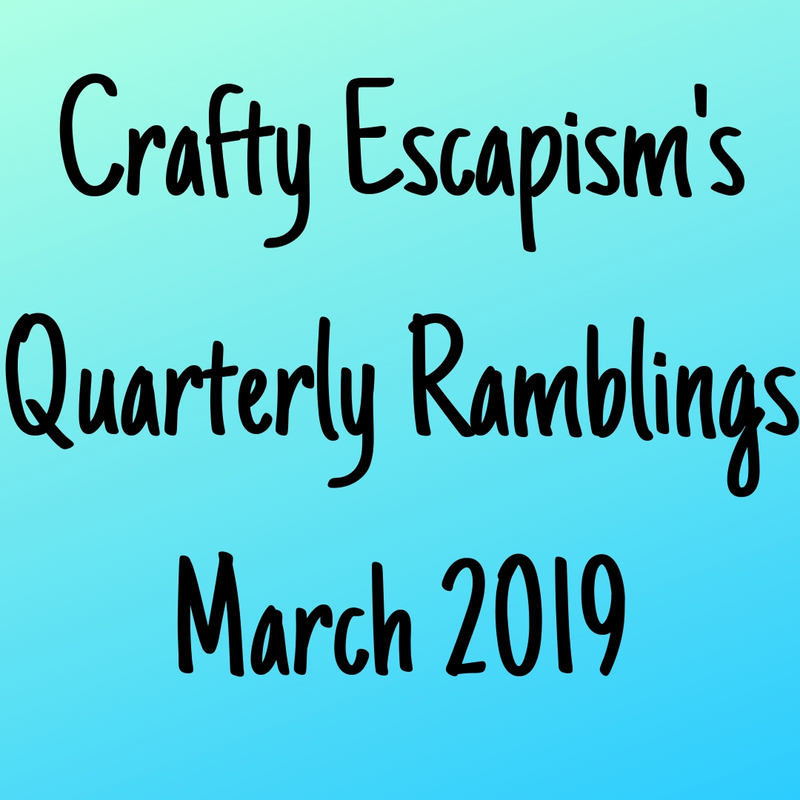 I'm going to call it springtime ramblings. And my plan for the blog/podcast - it has taken me forever to figure this out - is to produce it once a quarter - surely I can manage that? And I'll make it a bit of a chatty update. Thank goodness for Instagram to remind me of what I've been up to! 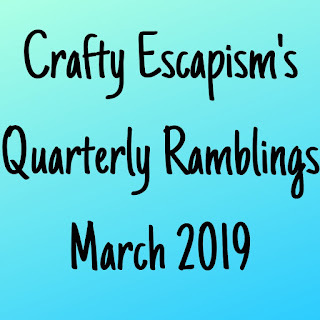 I've grouped my chatter under four headings - Social, Projects, Career and Other Highlights. I have been crafting with my regular group at a local pub every 2nd and 4th Tuesday. We are not a large group but we are getting to know each other very well. 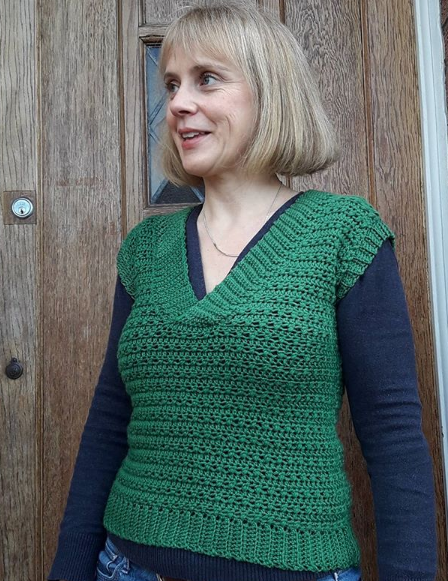 I've managed to persuade my oldest friend from Bristol to return to knitting - we lived together in a big shared house 22 years ago - and join us. I just found out another one of our group has her own Etsy shop RachsCrochetFriends for the cute amigurumi we admire at each meeting. Very cool! I also managed a new meet up last week - a lovely small group in the centre of town and made it to the January meeting of a larger more established last Monday of the month group. 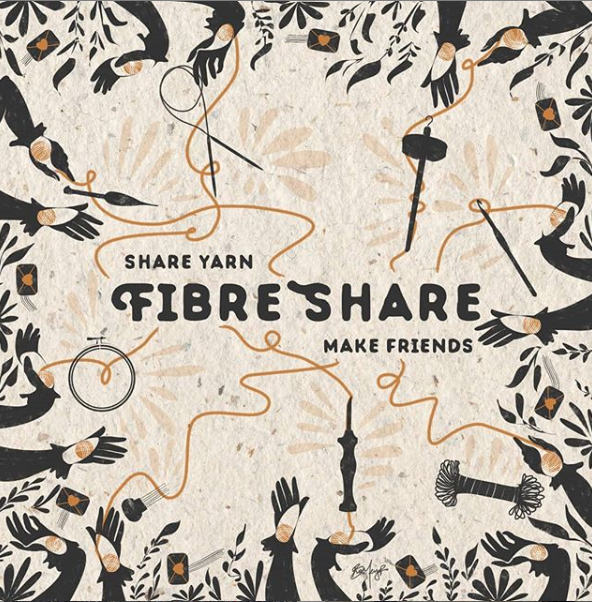 There are groups a plenty in Bristol to join in with and I love being part of all of these little communities of people sharing a similar love for yarn! 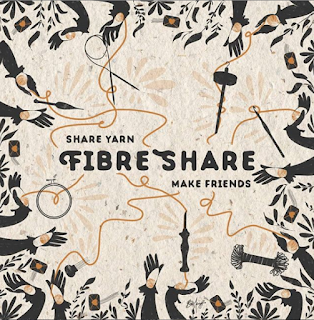 I took part in the International Fibre Share yarn swap for the first time in February. 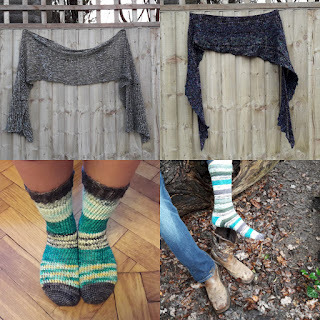 You need an instagram account to participate, fill in a questionnaire on your yarn preferences, pay $8 and then are matched with two other crafters - one to send to and the other to received yarn from. The minimum requirement is to send 200g of yarn/fiber by a set date. I was partnered up with two awesome fellow crafters - one in Germany @demelzathecat and the other in the Czech Republic @denisavlcak. It was really fun, you get to know each other, receive some happy mail and I'll probably sign up again. And I was invited by my dear friend and talented crochet designer Jo (@jojotwinkletoes) to the first Flock / South West Knitters get together in a cute village hall nearby - a day of mingling with other local yarn lovers, playing games, eating cake plus a little shopping. I'm hoping this will become a regular event. I am planning to attend Wonderwool Wales on Saturday 27th April - get in touch if you want to meet up or share a ride. It's a "Festival of Welsh Wool and Natural Fibres" and it's meant to be a really good one! I will be teaching at two local Age UK Friends Ageing Better events shortly. It was so much fun chatting, crafting and eating yummy cake at the last event in mid November. Best morning of volunteering ever! I'm not teaching enough really but if I can work it around my day job and the family and the dog, trying to stay fit, and all the yarny get togethers I will... I really love teaching and hanging out with older people. And they seem to enjoy me too. We become quite giddy together - there is not always a lot of learning - maybe it's all the sugar in the cake! And I've learnt how to make crochet charts for one of my clients using Crochet Charts Stitchworks Software. It has been very fun fiddling around with this. And I have got to grips with garment grading - I"m going to be tech-editing a gorgeous crochet sweater for one of my lovely crochet designer clients soon. Exciting! And I've managed to get a page up on my website on tech-editing and teaching. Go me! There was a Yarn bomb on College Green right by my office. What a delight! Local volunteers made these gorgeous knit and crochet hearts to celebrate the community support given to the @aboveandbeyondcharity Bristol Heart Institute Appeal. Beautiful! This really cheered me up for a couple of dreary weeks in February. I also visited a new to me yarn store: Alterknit Universe. Oh my, it was the briefest of visits but I really want to return. It is such a gorgeous welcoming place. They have a Sunday afternoon knit group - crochet is permitted too. So tempting! Planning to be back at the end of June with another blog post / podcast episode.... 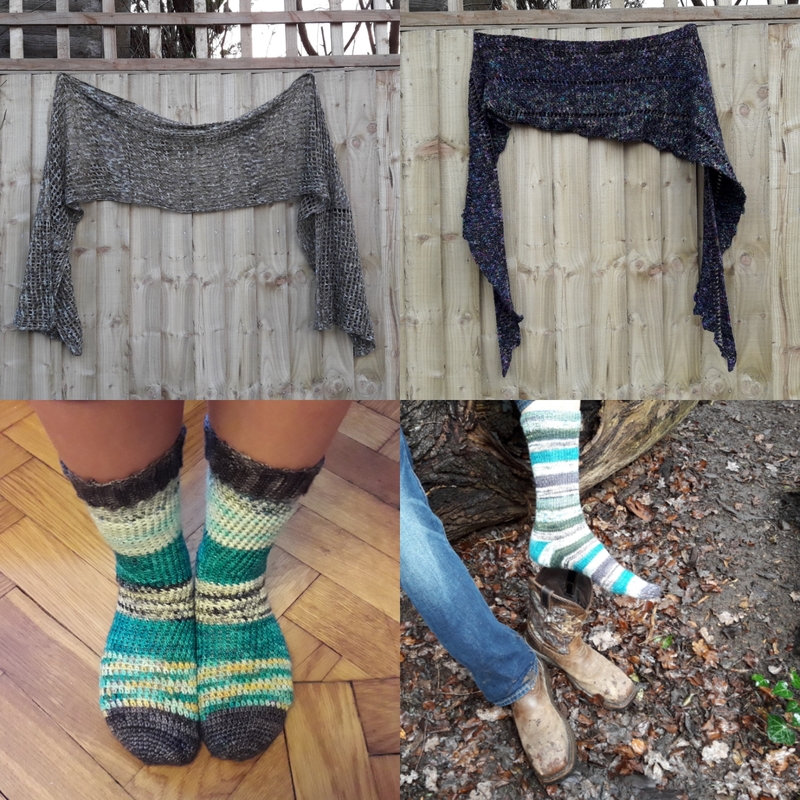 In the meantime find me on all the social media Instagram, Twitter and Facebook and also on Ravelry as Crafty Escapism. Until then happy springtime y'all!! 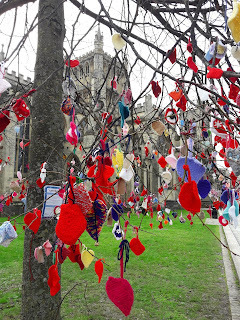 Wow, that yarn bombing is absolutely delightful! Good to hear from you again, Tamara! Hi Nicole! I was so surprised to see all the hearts put up! Really gorgeous! It's good to be back in the blogosphere! Nice to see you back in the blogosphere Tamara. I'm afraid I haven't kept up with your podcasts and don't always catch Instagram so I'm glad you haven't abandoned your blog. Blogreading is easiest for me. My! You have been busy but in such a good way. Congratulations on your tech editing and teaching developments. It's great that you can fit it in around your work and family commitments and super cool that you still had time to make so many beautiful things for yourself. I'm in awe of your energy. Really great to hear from you Jodie! Yes I didn't want to abandon my blog entirely because I know not everyone is on social media. Also for me it's a good way to record and reflect on my crafty progress. It's good to be back with a plan!